In this Holiday Buyer's Guide, we will be evaluating and recommending desktop PC power supply units. We should clarify that the selection of a PSU is based on parameters both objective (e.g. wattage, performance) and subjective (e.g. design, modular cables). That makes it very difficult to limit the selection of a PSU to just one per possible target class. We will be recommending at least two options for each market, based on objective parameters and our subjective opinion. Before we get to the power supplies, we want to dispell a common misconception among users – that a high wattage PSU will be better. That is not necessarily the case, because all switching PSUs are designed so as to deliver their maximum efficiency at about half-load (50% of their rated maximum capacity). Their performance will reduce not only at higher but at lower loads as well. As a matter of fact, the efficiency of any switching PSU typically plummets if the load is too low (usually below 15% of the unit's rated capacity). You should remember that the advertised performance of a PSU is within the nominal load range (20% to 100% of its rated capacity) and the manufacturer is not obliged to include information on how much the performance degrades at sub-20% load conditions. Therefore, the selection of a severely oversized PSU is both economically and practically senseless. Users also tend to overrate the power requirements of their systems greatly. It is not uncommon for people, including sales persons and experienced builders, to recommend a 1kW unit to a user with just two (or even one) high performance GPUs. Many also seek the advice of "wattage calculators", which are usually simple tools based on the thermal design power (TDP) specifications of components. The TDP does not represent the actual power requirements of a component and it is next to impossible to place every single component of a system under maximum stress simultaneously. For example, the recommendation for a system with an overclocked Intel G3258 at 4.5GHz, a single nVidia Geforce GTX 770, one SSD, and four HDDs is over 460 Watts, while this system hardly gets close to 300 Watts with everything at maximum stress. If you are able to measure the actual power requirements of your system, keep in mind that you should not buy a unit that will frequently operate near its maximum capacity. Just as you would not run your car constantly near the red line, a PSU should not be under maximum stress for prolonged periods. A high quality PSU can withstand it, but just because it can does not mean it should. Again, all switching PSUs deliver their maximum efficiency at roughly 50% of their rated capacity. Running a PSU at over 90% capacity for prolonged periods of time will not only reduce its performance but it will also make it hotter, louder, and decrease its expected lifespan. With that in mind, while the recommendations of the online tools and calculators may be overestimated, they're not overly so. Selecting a unit of the wattage they recommend is not usually a bad idea, as the recommendation usually is twice the actual power requirements of the system. The common mistake is that users usually seek to buy a significantly more powerful unit, thinking that having extra power helps, and end up with a severely oversized PSU for their system that will be both more expensive to purchase and unable to perform as it should. For a very large percentage of PC users, a 300 to 400 Watts PSU will be more than sufficient. It is more than capable of powering a PC with a good processor, a single middle to high end GPU, and a few drives. 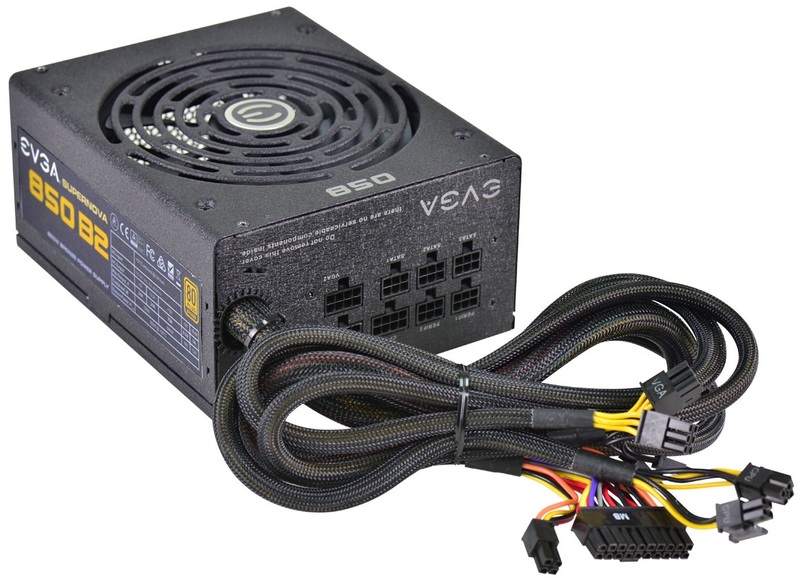 For those who aim for the lowest possible price for a product of acceptable quality, we recommend a relatively old but proven PSU, the Antec EarthWatts EA-380D. Antec's design is nearly four years old but it remains a solid performer and retails for just $40 including shipping. On the other hand, Seasonic's SSR-360GP 80 Plus Gold certified offering retails for $60 including shipping and comes with a 5-year warranty, making it a good choice for those willing to spend a little bit extra for better performance and a longer warranty. For those seeking the most features and best performance possible, there actually are not too many choices within this power band, as very few companies care to design very high performance products with such a low output. Out of the few high performance sub-400W units available, Seasonic's SS-440FL2 stands out. It is 80 Plus Platinum certified, passively cooled, and modular with a 5-year warranty, but it will cost you $115 including shipping, nearly twice the price of the SSR-360GP. 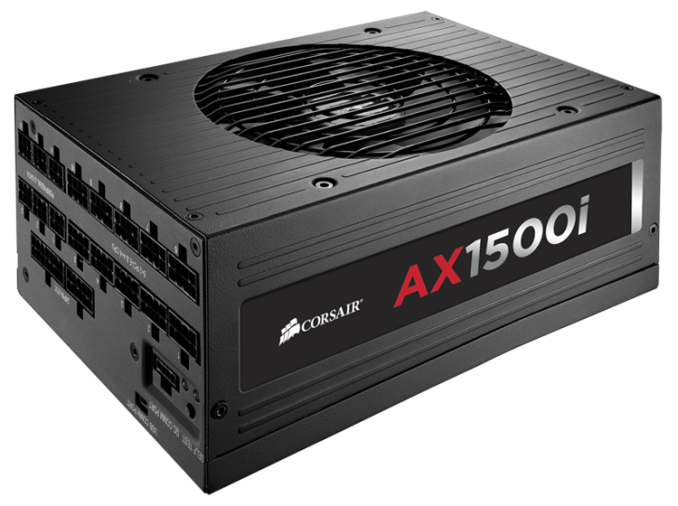 There is a very large selection of products within this power range but there is a definite winner when value is the major factor: the Corsair CS450M. It is impossible to beat the value of this unit; it is 80 Plus Gold certified, modular and retails for just $60 including shipping, with a $30 rebate card. Strangely, the 550W model retails for the exact same price, but comes with a $20 rebate card instead. For their retail price and the features they offer, the value of Corsair's CSM series is next to impossible to match. For users where cost is not a real issue, the Silverstone NightJar NJ520 offers the best all-around performance of the category. It is 80 Plus Platinum certified, fanless, and modular. Not only does it completely remove the noise element but it also has fantastic electrical performance. 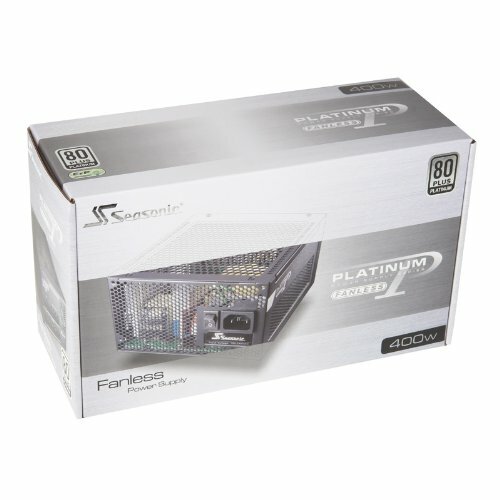 The only problem is that it retails for $145, a very steep price for a 520W PSU, but not much higher than any other 80 Plus Platinum certified unit within this power range. 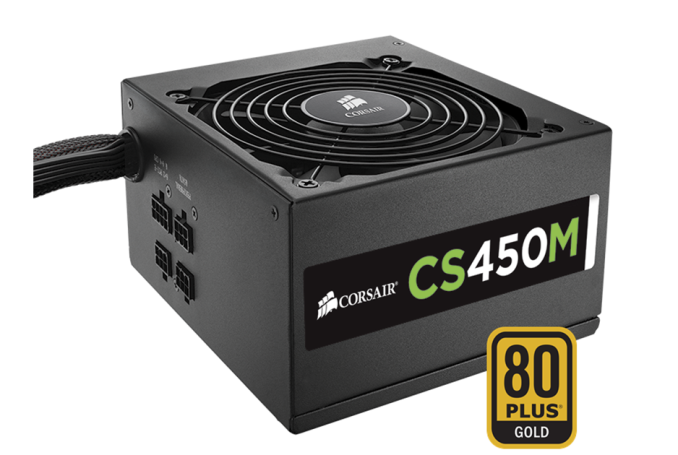 If that price is too steep, there is a very large selection of 80 Plus Gold certified units within this power range, but none offer anything significantly better than the Corsair CSM series – and you can buy five of them for the price of one NJ520. This power band is mostly appealing to advanced users and gamers as well as overclockers. These units are powerful enough for dual GPUs and, depending on the consumption of each card, even triple-GPU systems with overclocked processors. For users that seek to combine good performance and features with a reasonable retail price, Rosewill's new Photon 650 is a very good deal. You will be hard pressed to find an alternative 80 Plus Gold certified, modular 650W power supply for just $80 including shipping. If you feel like sacrificing the modular design for higher performance and 80 Plus Platinum efficiency, Antec's EarthWatts EA-650 can be bought for $100 including shipping. 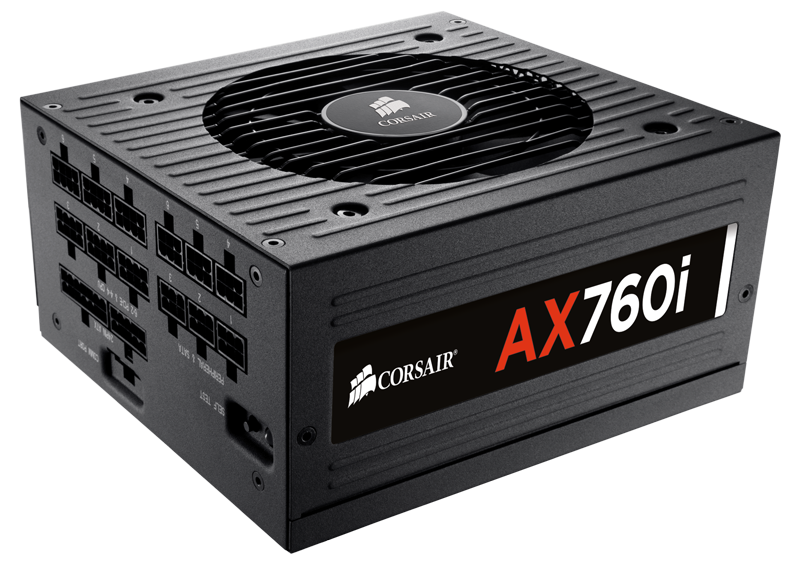 For those willing to spend the money for top quality, features, and performance, Corsair's AX760i can be bought for $185 including shipping. The price is steep but it is a fully modular design with unparalleled overall performance, plus it offers the unique ability to monitor its outputs and partially control aspects of the PSU via the Corsair Link software. 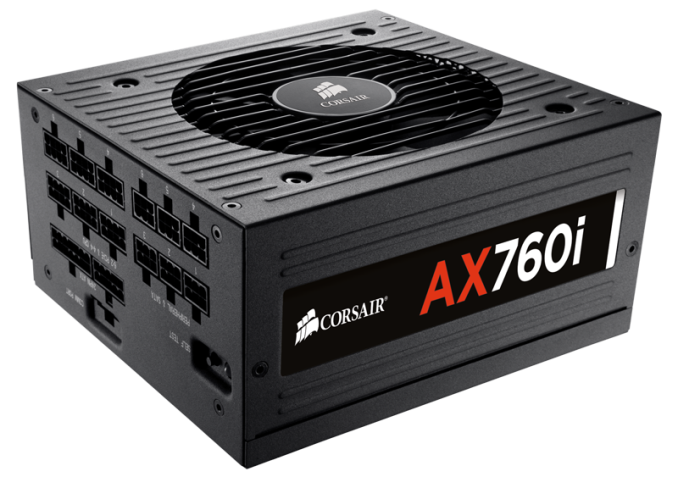 If the price is too steep or if you find the Corsair Link compatibility uninteresting, the vanilla AX760 retail for $150 with a $30 rebate card. If you have a triple-GPU setup or two dual-GPU cards, then you ought to be looking for a PSU with an output of 800 to 1100 Watts. For those with three mainstream cards (e.g. nVidia Geforce GTX770 / AMD Radeon R9 270X) or two high end cards (e.g. nVidia Geforce GTX 780 / AMD Radeon R9 290X), EVGA's 850 B2 offers great value for the money and a modular design for just $95 with a $10 main-in rebate. If you want better performance without breaking the bank, Corsair's HX850 80 Plus Gold certified unit is currently retailing for the very reasonable price of $130 and also includes a $30 rebate card. Even though the above options are capable of powering a very potent gaming system, we suspect that most users who need such a powerful unit will lean towards the more expensive offerings. Within that wattage range, we feel that Corsair's HX1000i will be an ideal choice for enthusiasts that do not seek to compromise on quality and performance. The retail price of $230 is steep, but it is 80 Plus Platinum certified, has exceptional overall performance, and includes a 7-year warranty along with support for Corsair's Link software. Besides, its cost will most likely be a fraction of the value of the system it powers. Very few users actually require a PSU with such a high output rating. Such units are meant to power only the most advanced gaming systems, which have at least four GPUs installed, or are reserved for specific applications (e.g. advanced servers or cryptocurrency mining systems). For those who require such a massive power output, our first recommendation would be the Seasonic SS-1200XP3. It is an 80 Plus Platinum, modular power supply with great electrical performance that can be bought for $250 shipped (though prices have been lower during the past week). There are cheaper alternatives boasting a similar power output, but at this level we strongly recommend basing your purchase decision primarily on quality, not on the lowest possible price. After all, it does not make much sense to assemble a system with a value of several thousand dollars and then try to save $50-100 from the PSU, a device that is directly responsible for the longevity of all the components it powers. 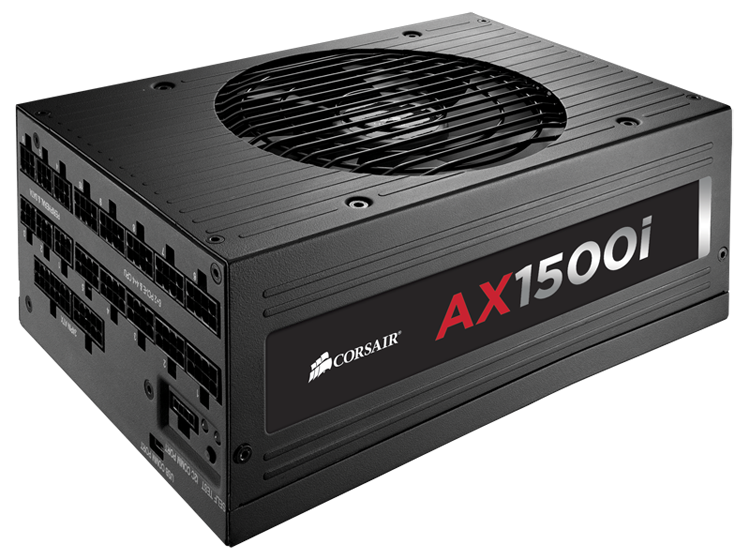 If what you want is the most powerful and advanced power supply currently available, the Corsair AX1500i is the definite answer. The current retail price of $388 certainly is very steep but it is one of the very few 80 Plus Titanium certified PSUs on the planet and there is no other product that can directly compete with the performance of Corsair's fully digital design. Not only can it easily power a quad-GPU setup but, in most cases, it should be able to do so quietly as well. For those that find the AX1500i too pricey, there also is the more reasonable choice of its less powerful sibling, the AX1200i, which retails for $280 including shipping ($240 after rebate). "PSU, a device that is directly responsible for the longevity of all the components it powers." Longevity: Better build quality means it's going to last longer. Higher temperature rating: A PSU that's rated to output at a higher temperature is going to withstand high temperatures without any detriment to performance or longevity. Lower ripple: Any AC ripple not filtered by the PSU has to be filtered by components further along the line. This causes additional stress to those components when they should be handled by the PSU itself. Better voltage regulation: Most voltages used by components need to be regulated to voltages other than what's provided by the PSU directly. If the voltages from the PSU fluctuate too much, the VRMs down the line needs to compensate for it and this can cause unnecessary stress on those components.